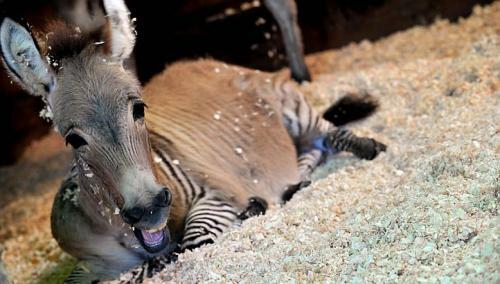 An act of love between Martin the zebra and Giada the donkey in the romantic Italian city of Florence has produced a rare " zonkey" baby that is drawing crowds to an exotic animal shelter. Three-month-old Ippo is already a star and the owners of the farm say they have received requests for rights over his image, including one from a soft-toy company and another from Disney to make a cartoon. How an act of love between Martin the zebra and Giada the donkey in the romantic Italian city of Florence produced a rare "zonkey"
Aglietti explained that on one balmy night last year Martin - who was taken away years ago from a zoo where he was being abused - jumped over the fence of his enclosure. The lusty Martin used his snout to lift the latch on a stable door where the donkeys were being kept. 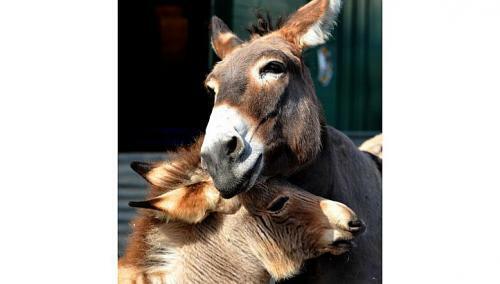 No one realised what had happened until 12 months later - the length of a donkey pregnancy. 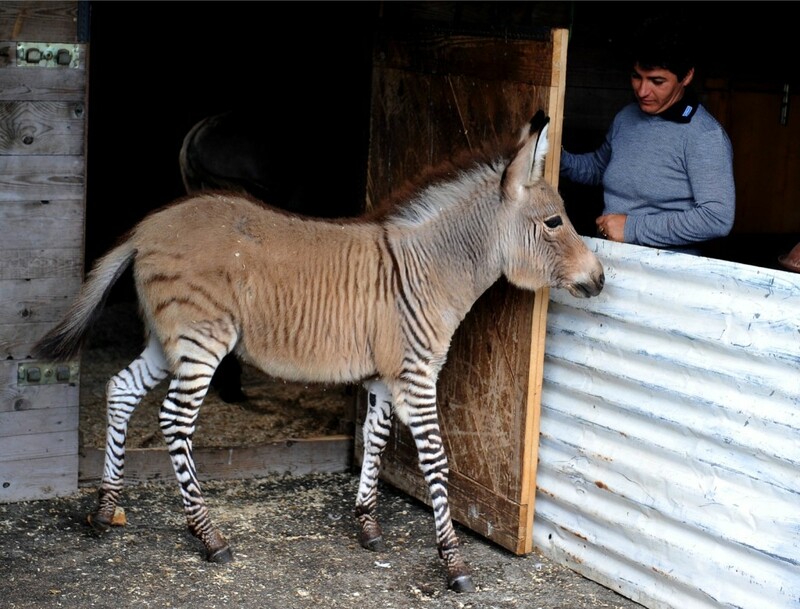 Ippo still looks very much like a zebra-donkey mix - with the stripey legs of a zebra but a donkey's face. 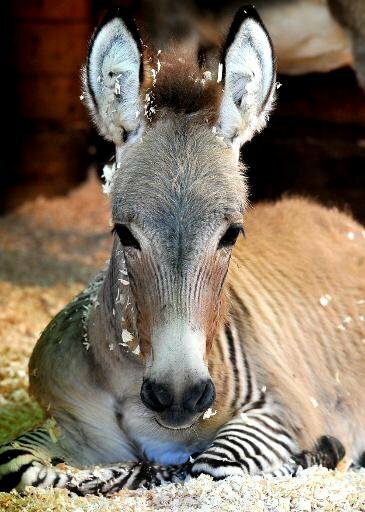 However, the previous handful of zonkeys around the world - including ones in China, Japan and the United States - show that he could grow up looking more like one than the other. Ippo is officially a "zebroid" - the name for a cross between a zebra and any other equine. Aglietti said that by November it will also be clear whether Ippo can reproduce or not but no decision has been taken on breeding him with a donkey or a zebra - or indeed some other animal. "If he is fertile, he will have the choice of who to mate with among all the animals we have here."